Verizon road-map leaked, Galaxy S II nowhere to be found. According to Phil Nickinson from Android Central, Verizon seems to have an arsenal of Android devices releasing this summer. Droid 3, with the dual-core OMAP4 processor and 8 megapixel camera as well as with Gingerbread, should launch Mid July, which lines up well with rumored July 14th release. 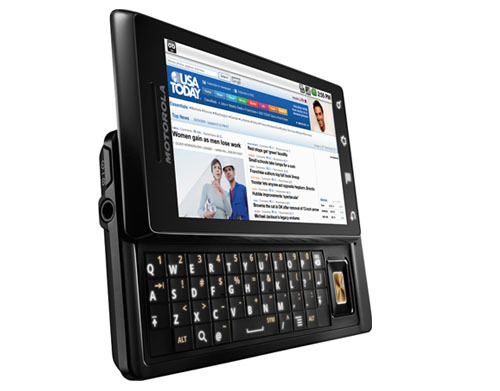 Droid Bionic, the beast of a phone with Tegra 2 and LTE capability, should launch in late July, more than six months after its announcement at the CES. (It almost makes me doubt whether Verizon delayed the release so they can lure people into tiered plans). Blackberry 9930 Bold, with BB OS 7 and 1.2 GHz processor and all, should be released late July. Blackberry Curve 9370, also known as the Sedona, is launching in August according to the rumor, and it will include BB OS 7 and 512MB of RAM. Samsung Plato is an unknown device, although Jerry Hildenbrand, another writer for Android Central, found it to be the name used for Samsung’s smart TV. We’ll see whether Samsung will partner with Verizon to release Google TV on Verizon (perhaps its FIOS tv integrated?) this august? LG Gelato is Optimus Slider for Verizon in August. Finally, LTE version of Galaxy Tab 10-inch, which is already up for a pre-order, is releasing late July. Feature phone wise, we’ll see LG Revere this August, Cosmos 2 (with slideout keyboard) this August as well, as well as Samsung Convoy 2 (which is a MP3-oriented folder phone) and Pantech Breakout late August. We’ll also see Samsung Aegis, which is a business laptop, launching September. Exciting news from Verizon, but where’s the Galaxy S II aka. Samsung Function? « SCOOP! : Samsung to release 2GHz LTE phone by November?